The right railing can create a finished look on any deck, porch, indoor or outdoor stairway, and anywhere else you want to add safety and character. At Homestead Outdoor Products, we carry a complete line of railing supplies from the most-respected manufacturers in the industry. Homeowners will love the variety of styles available—and the peace of mind that railings provide. Both practical and elegant, our vinyl railings by Superior Plastic Products and aluminum railing from Key-Link Fencing & Railing increase a home's value and stand up to wear and weather. Whether you're adding railing to a wraparound deck, a second floor balcony, a stairway, or to another feature at a home or business, contact us to get all the high-quality deck railing parts you need. With years of experience to draw from, our team is here to answer your questions and guide you to the right railing for your projects. Vinyl or Aluminum Railing — which should you choose? Either one can make an excellent choice, so that's a tough question to answer! A specific project's needs and a customer's preferences may make one more ideal than the other. 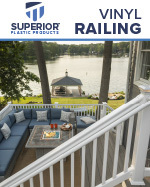 Both Superior Plastic Products vinyl railing and Key-Link's aluminum railing are made in the U.S.A. and come with limited lifetime warranties. Homeowners love vinyl railing for its affordability and durability. Contractors love how easy it is to install—and that means fewer call-back visits! Vinyl requires minimal maintenance and doesn't demand a lot of time or attention after it's in place. That's a plus! Vinyl won't rot, crack, or peel—so it remains looking great and never needs painting. 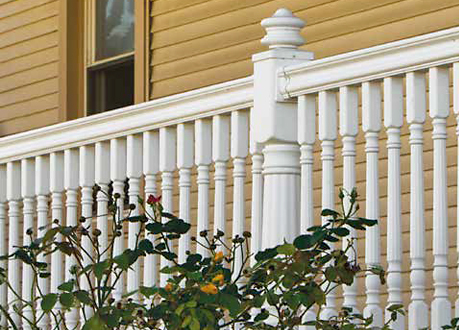 Superior Plastic Products vinyl railing comes in a wide variety of styles and colors—and the option to order custom railing—to fit any décor and design theme. 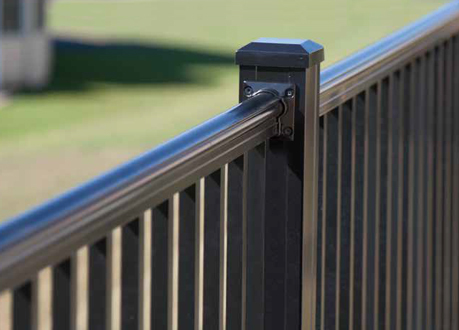 Vinyl Railing is a clean, compelling, low-maintenance solution for adding safety and security to any outdoor space. Balustrade Railing is perfect for larger installations, such as high-end homes, grand estates, and other prominent projects. 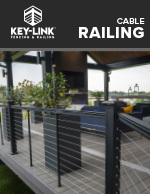 With Key-Link aluminum railing, you get the elegant look of wrought iron without the maintenance worries. Easy installation makes your job easier and helps ensure customers are satisfied from the start. Weather-resistant powder coating prevents rust and peeling, retaining its curb appeal for years to come. Oh, the possibilities! With so many colors and styles available, your customers have plenty of options to choose from. 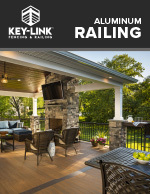 Keylink Aluminum Railing offers a sleek, lightweight railing system providing a safe, secure outdoor living space. Cable Railing is low maintenance, offers a great view, and creates an open space with plenty of airflow. Create focal points while adding atmosphere to your backyard or deck area. Placid Point Lighting allows you to creatively illuminate all types of outdoor spaces. 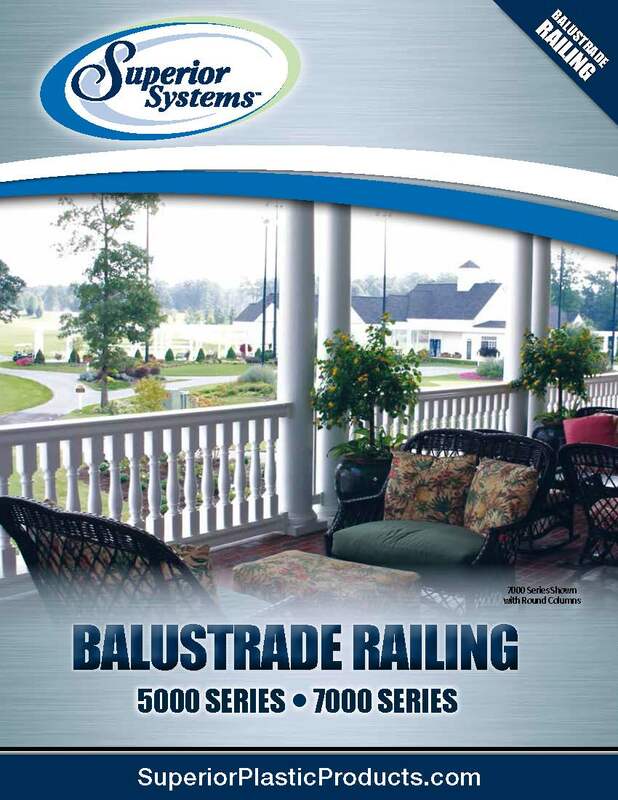 Want to talk with a railing company that understands your needs and has the railing products that will satisfy them? Contact us to discuss your next project.